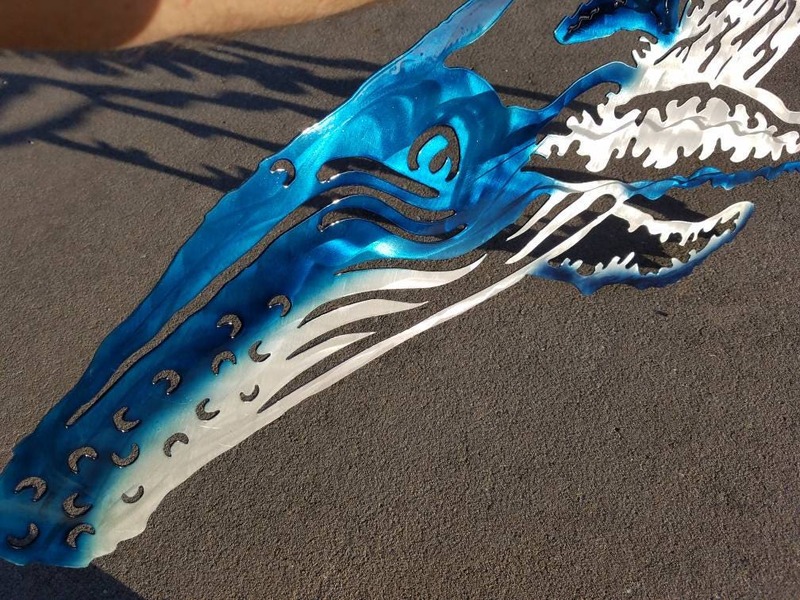 Plasma cut humpback whale from aluminum. 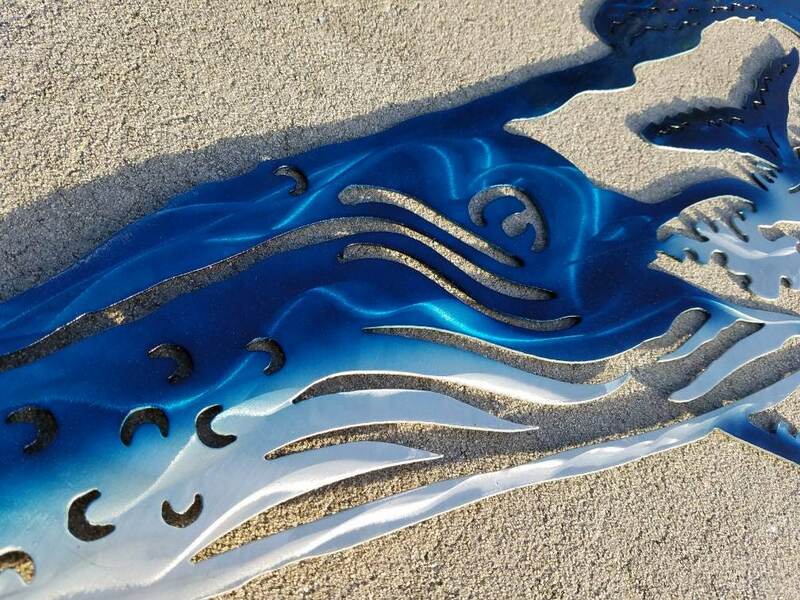 Hand cut and formed this whale is one of a kind! Finished with an airbrush, examples are shown but can be customized to your ideas. 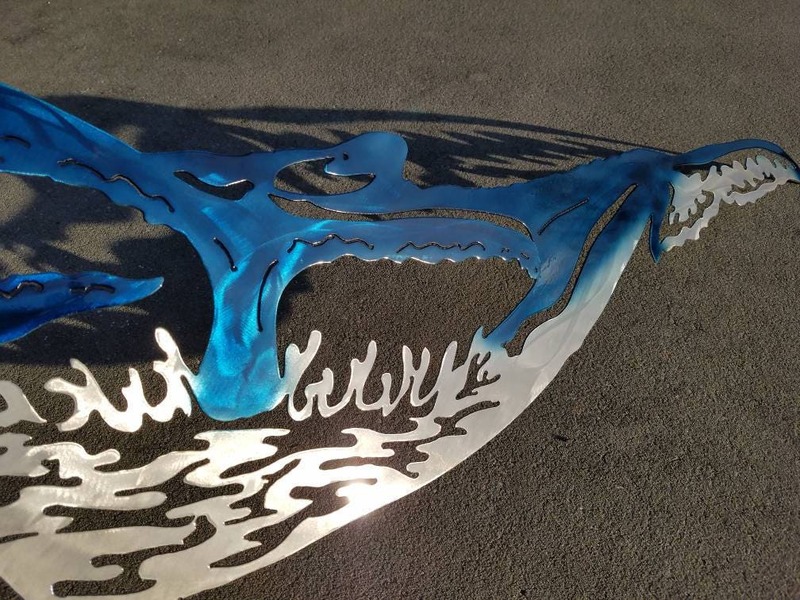 This whale art is powder coated in clear to protect the finish from oxidizing. Approximate size is 42" long and 14" tall. The craftsmanship and customer service has been incredible! I LOVE the pieces created and greatly admire the talent and hard work involved. 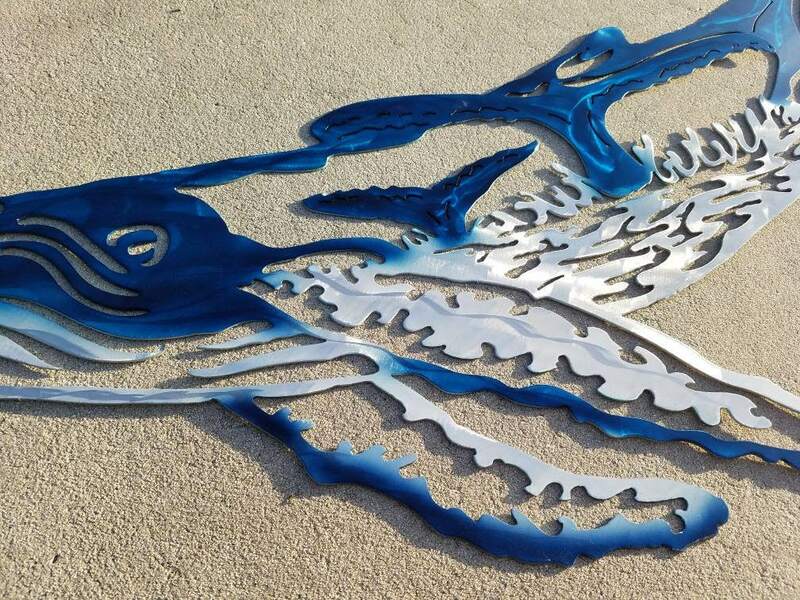 I plan to order more pieces and highly recommend SeasideMetalDesign for all of your metal artwork! They are extremely professional and interested in providing fantastic product as well as stellar customer service to ensure satisfaction. I will cherish my whales forever! Great communication and customer service and the finished product looks awesome!!! 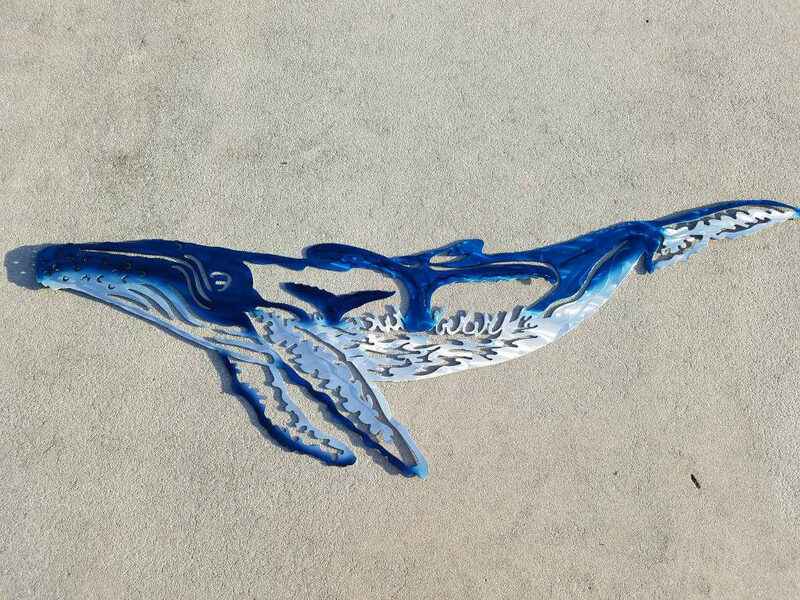 Recently purchased a large airbrushed humpback whale and it fits in perfectly with the nautical theme throughout our beach condominium. The workmanship Theo has put into this piece is outstanding. If you are interested in metal art, I highly recommend this artist. I love this whale! I have it hanging on my fireplace for all to see. Mine is more turquoise than royal blue. The artist did an amazing job and made sure I was pleased with it. It was packaged well and shipped promptly. Thank you Theo and Amber!